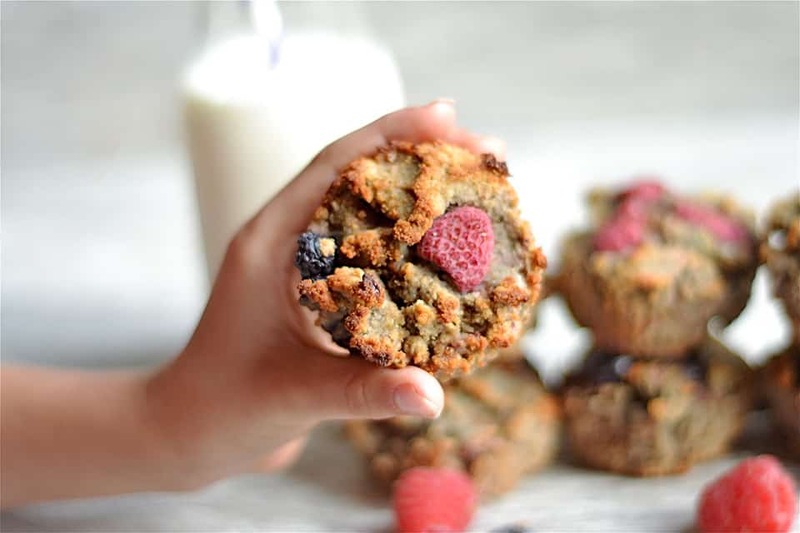 Grain-Free Berry Banana Muffins are a healthy way to start your day! 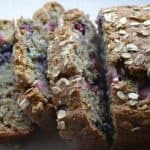 Nutrient dense ingredients, low sugar, full of taste, and perfect for an easy on-the-go breakfast or snack! Muffins are my favorite food to make my kids. 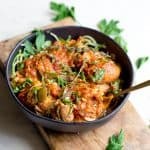 They are not huge egg fans (in fact one of them doesn’t eat eggs AT ALL), so I am always trying to come up with creative breakfast ideas that are not loaded with sugar! This one is just perfect for so many reasons. 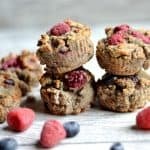 Berries are in season and a fun way to ring in the spring and summer, this recipe makes 15 muffins that can be easily frozen and enjoyed on busy mornings when you don’t have time, and they also make a great option for a main course in the lunchbox. In fact, I packed them for my kids to take to school today. 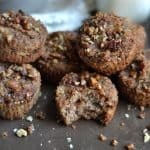 I love the nutrient density of these muffins, and feel great about giving them to my family. 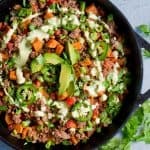 The grain-free element is also a benefit for those following a Gluten-Free or Paleo diet. 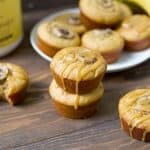 The use of almond flour and coconut oil create a moist and “buttery” flavor to these delicious little muffins! It also allows our body to process more healthy fats as opposed to simple carbohydrates. 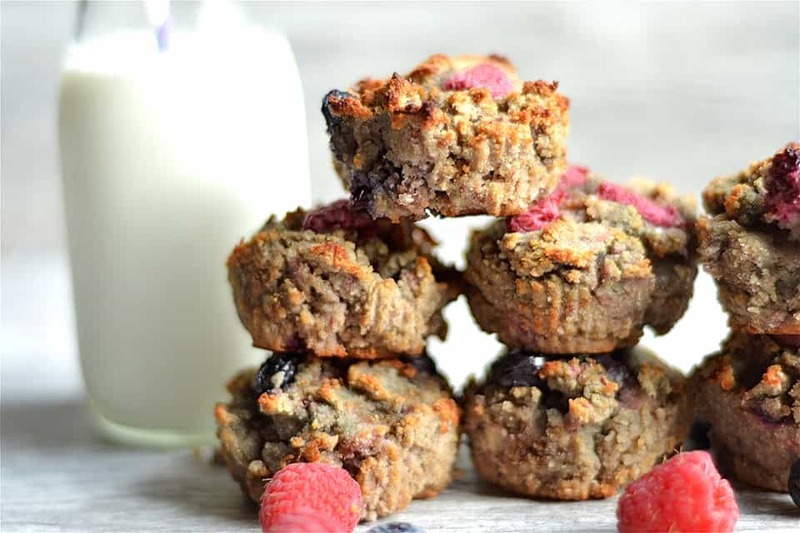 The bananas and berries provide most of the sweetness in these muffins, along with a splash of honey. The berries are a rich source of anti-oxidants that protect our body from free radical damage. I am always trying to sneak in more anti-oxidants into our diet, and berries are perfect! On days when I think we don’t get enough, I also love to hydrate with my favorite mineral and antioxidant drink. 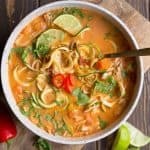 It’s perfect for kids too! Finally, although it is an option, I find the sprinkle of coconut sugar on top is absolutely necessary! It creates a yummy sweet crust. 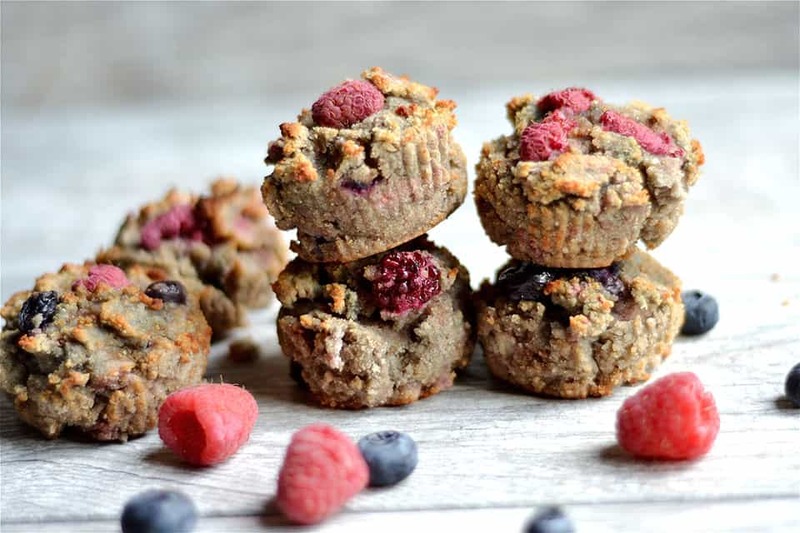 These muffins are also perfect with your afternoon coffee or tea. Enjoy! 1/4 cup dairy-free milk almond, flax, cashew, etc. Preheat your oven to 350 degrees. 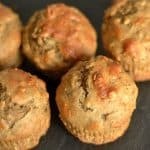 Generously grease a 12 cup muffin tin with coconut oil (or line with muffin papers and use a non-stick spray). Combine both flours, salt, baking soda, and cinnamon. Set aside. In a separate bowl, whisk or beat together coconut oil, mashed banana, vanilla extract, honey, milk, and eggs. Slowly fold into dry ingredients, and mix until well combined (batter will be thick). Gently fold in berries. Spoon muffin mixture in tins or muffin cups, about 3/4 full. Sprinkle with coconut sugar (if using). Bake for 17-20 minutes, or until a toothpick inserted comes out clean. Muffins can be stored at room temperature in an air tight container for up to 2 days, or frozen for several weeks.